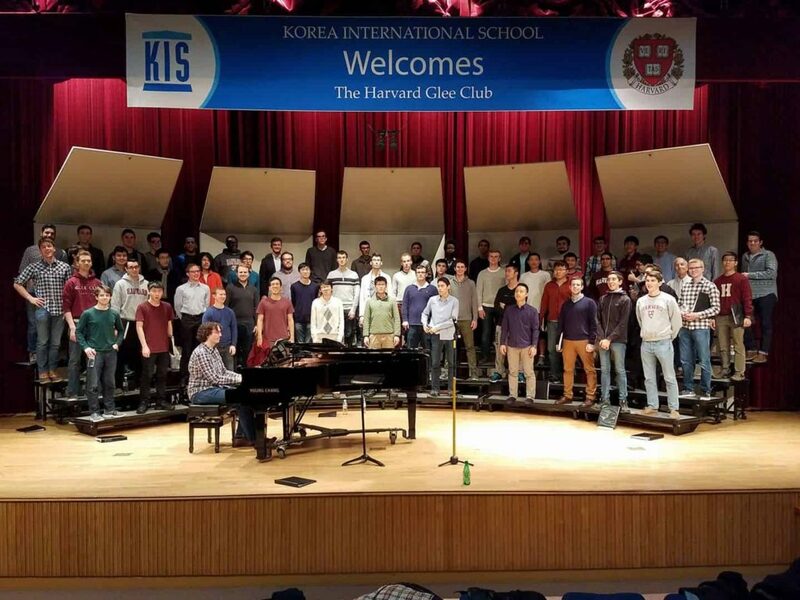 Today we had very unique and special day of exchange with the students of the Korean International school (a K through 12 Anglophone school based in Seoul). 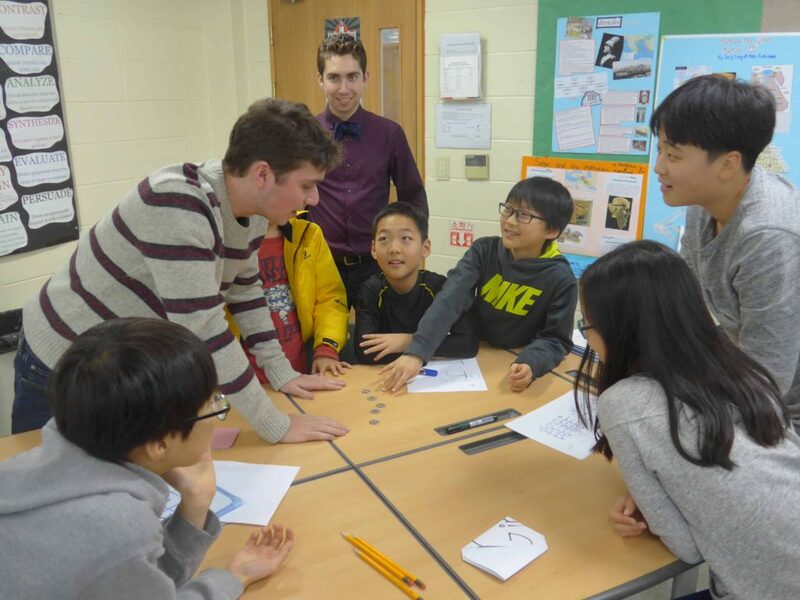 We were all assigned to lead workshops that were attended by the students of the school; a golden opportunity for us to talk about our interests, learn from the Korean students, and try our hand at teaching kids – and indeed, it is not that easy! On their side, the students from KIS were able to learn about Harvard, new challenging or fun topics, and meet and interact with us all. 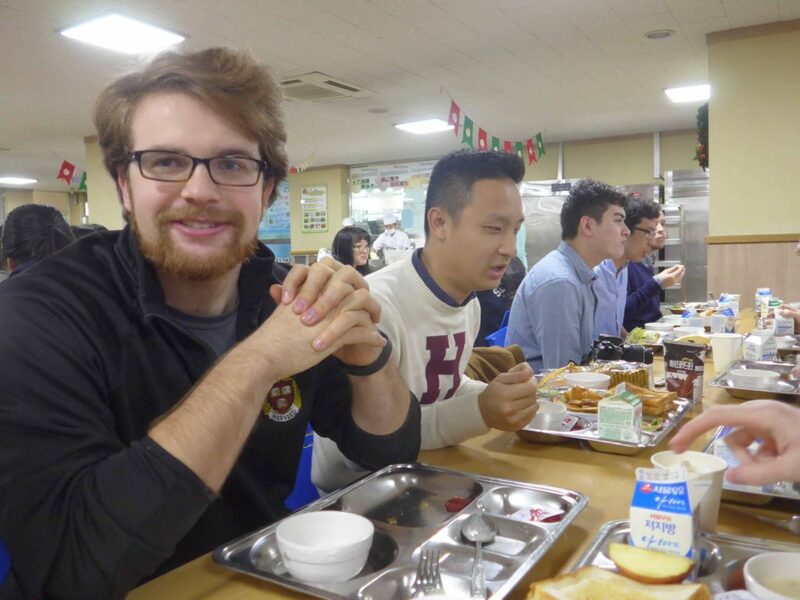 The morning we all rose from our bunk beds and congregated for an 8am breakfast in one of the Korean International School cafeterias. The place was already bustling with students from the school receiving their meal; but though the line was long, the service was extremely efficient: we received a hodge-podge of items including cereal, juice, mushroom soup, ham, toast, salad, and fruit, all in one tray with slots of various shapes in sizes. Made me realize I miss high school cafeteria! Immediately after breakfast we were shown around some the school premises by Javier, our liaison at the school. We were grateful for the tour: the campus was decently big (I myself managed to get hopelessly lost later on in the day, only to be saved by the personnel around). As we went along the tour we dispersed into the rooms in which we were to give our workshops. Half of the Glee Club was assigned to a morning session, while the other half was free to roam and prepare an afternoon session, and after lunch break the groups switched. 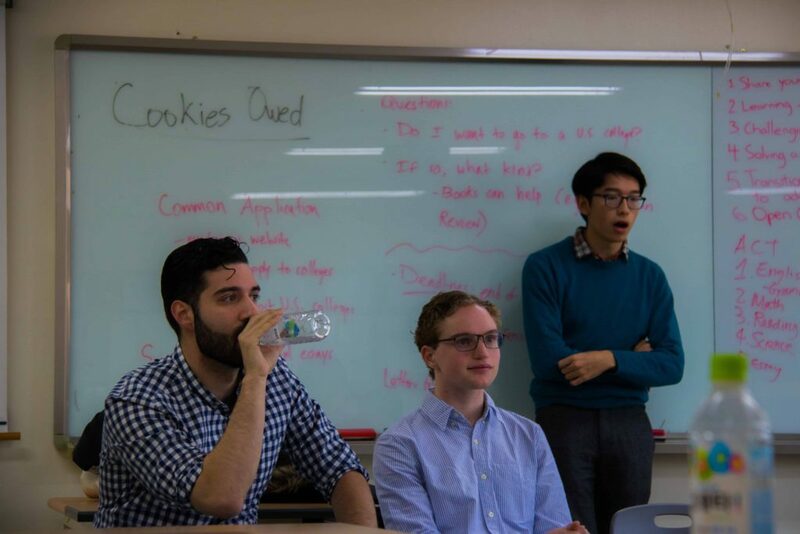 The workshops included more musical activities such as singing, composing, sight-reading, but also a broad variety of other topics including Logic and Reasoning, Basics of Computer Science, Applying to an American College, Basketball, and explanations about Life at Harvard – the latter being by far the most attended. One group taught a workshop on music composition, and had to improvise quickly when their pupils were much younger than expected. Thanks to the elementary school’s music facilities (xylophones and drums) they still had a fun time. My group broached the topic of logic and reasoning. We gave them various puzzles, showed them the AND, OR and NOT tables, and even showed them some mathematical magic card tricks to make them work out the mechanism. 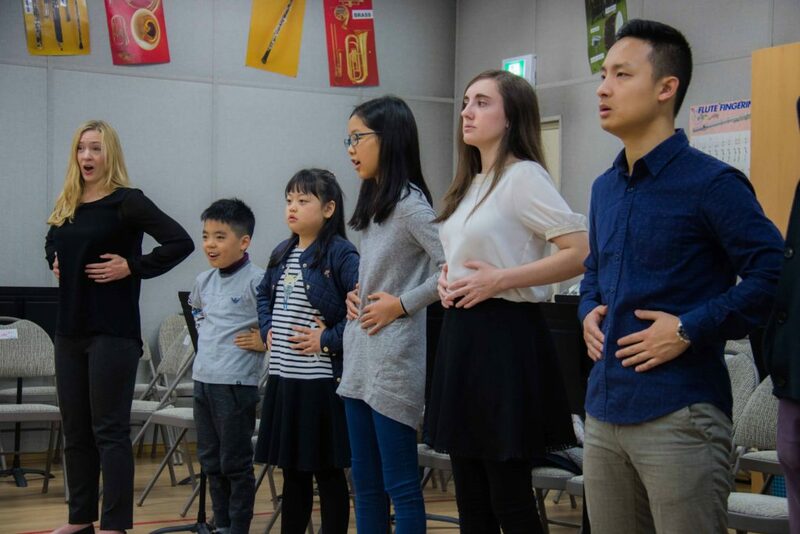 A final group including our conductor Harris Ipock gave a vocal performance workshop. It was fun and interactive for the kids, and a small impromptu performance was given. After the workshops, we congregated for a rehearsal in the school auditorium. We prepared for a shorter evening recital, and then had our second dinner in South Korea: pizza! 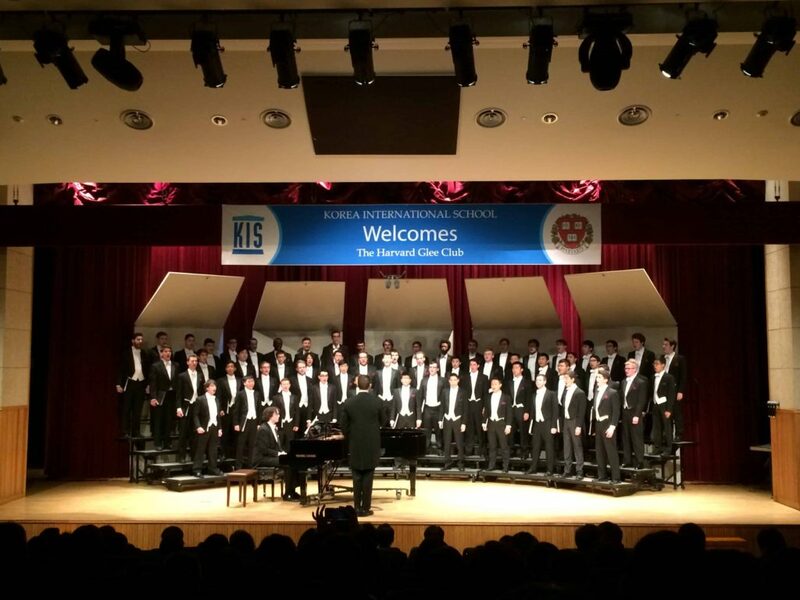 After the more intense experience of the first concert in Taipei, we felt rather relaxed about the second concert, and we had a lot of fun in the process. A highlight: our president Quincy Cason, upon announcing his role, is hailed by a general “oooo!” from the audience, and is then immediately hit by a spotlight; President of the Harvard Glee Club has an impressive ring to it for sure. 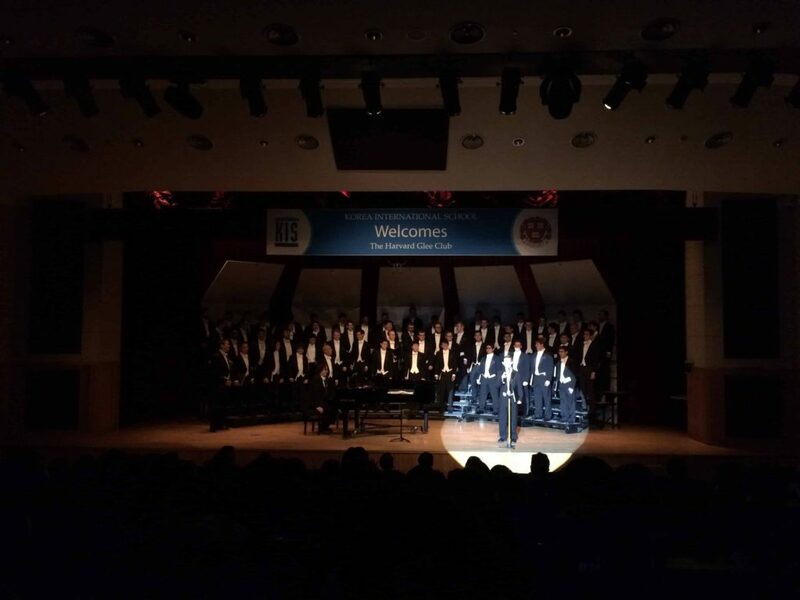 A few minutes after we stepped off the stage, we were surprised by a person telling us: “the audience is still clapping, they are waiting for an encore!” Lite was frantically reassembled and performed one more song to the cheers of the crowd. We mingled among the crowd as it left the hall, providing an occasion for many selfies and group photos. Finally we were greeted by the school officials including the founder of the school, for whom we sung our domine as a thanks for the fantastic exchange. 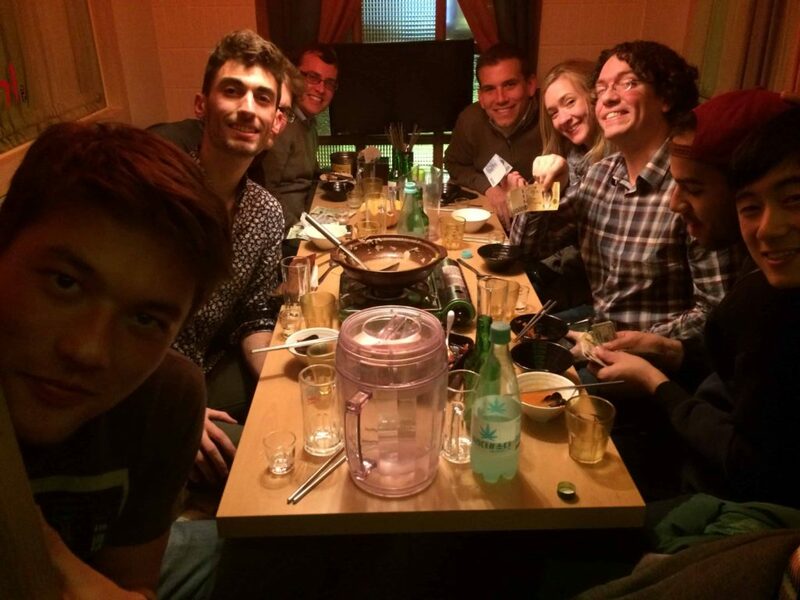 After the recital, a sizeable portion of gleeks went to the Gangnam district to hang out and try chicken feet stew and soju (for the adventurous). As a close to the evening, we retreated to dorms, played cards, did our laundry chatted, and prepared our suitcases for the early departure next morning. We were coming back to the dorms in a few days (and looking forward to it!) so we thankfully could pack lighter.